Let designer, Charlotte Moss, inspire you to create a truly swoonworthy space of your own – indoor and out. 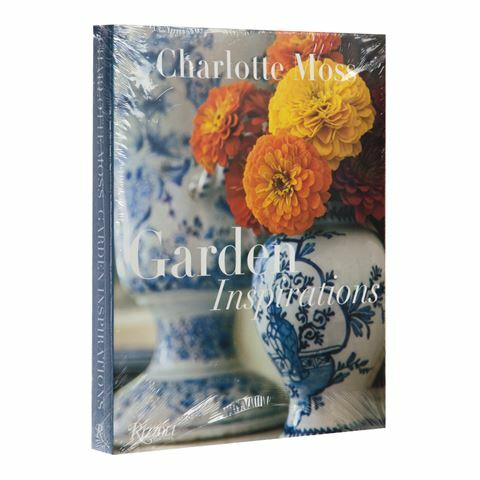 Garden Inspirations takes a look not only at what Moss has learned from time spent exploring some of the world’s most magnificent gardens, but also how you can bring the garden inside your home. In this eclectic, inspirational book, Moss takes you on a tour of her own garden, before offering advice on flower arranging, outdoor entertaining, interior colour schemes drawn from nature and so much more. Consider this your guide to living a blooming, beautiful life. Written by designer, Charlotte Moss. Dimensions: 31.5 x 25.5 x 3.5cm.